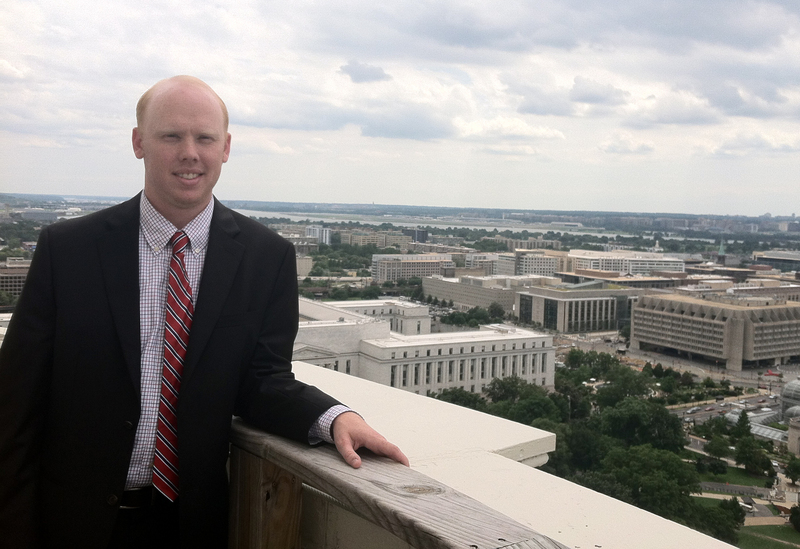 Contributed Photo: Cody Burkham, senior political science and history major from Hope, enjoys the view from atop the Capitol dome in Washington, D.C. Burkham is the first recipient of the recently completed William C. Nolan Legislative Internship Endowment. MAGNOLIA – A Southern Arkansas University endowment two decades in the making has its first recipient spending the summer in our nation’s capital for a career-boosting internship. Cody Burkham, a senior political science and history major from Hope, has been named the first recipient of the William C. Nolan Legislative Internship. He arrived in Washington, D.C. on May 5, and hit the ground running the following day at his internship with Rep. Rick Crawford from Arkansas’ first congressional district. Burkham’s excitement resonated through his cell phone as he walked the streets of D.C. after a long day of working with Congressman Crawford. He said he gets to help with a lot of “administrative stuff,” as one would expect from an intern, but that he has also helped Crawford by attending committee hearings and briefings. He said he has even had the opportunity to provide his boss with bill write-ups on proposed legislation that Crawford may be looking at to co-sponsor. The William C. Nolan Legislative Internship Endowment was instigated more than two decades ago to make it financially possible for a student from the Department of History, Political Science and Geography to accept a summer legislative internship with the U. S. Congress. Many students require this assistance in order to accept such an internship because they typically work in the summer. The stipend from the Nolan Endowment will help overcome that loss of income while providing an opportunity for a student to learn hands-on about government. Claudell Woods, the chair of the department, and Dr. James Willis, the retired university historian and professor of history, have been faithfully directing contributions to the fund. During the past year, an alumnus of the department made a generous anonymous gift in honor of Dr. Willis to complete the endowment and make it possible for Burkham to be the first stipend beneficiary this summer. A U.S. Air Force veteran of the Second World War and the Korean War, Professor Nolan taught political science at Southern State College and SAU for 25 years, beginning in 1962. He also served as the chairman of the social science division. He held degrees from Western New Mexico University and the University of New Mexico, with additional graduate work at New York University and the University of Mississippi. Upon retirement from SAU in 1987, he returned to his native state of New Mexico. He is now 91 and enjoys life in Silver Springs. 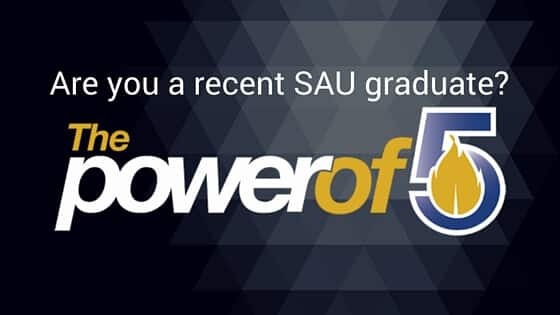 Before heading off to enjoy his evening in D.C., Burkham added appreciation for his SAU professors. “I know other interns who are going to schools like Harvard, Yale, and big state schools and I’m not intimidated at all because the faculty in our department makes sure we are prepared to pursue whatever we intend to do,” he said.